Tips and tasting notes for wines and spirits. As Ollie is currently busy with various acting and singing ventures, I thought I should step in and do a much needed cocktail of the month. 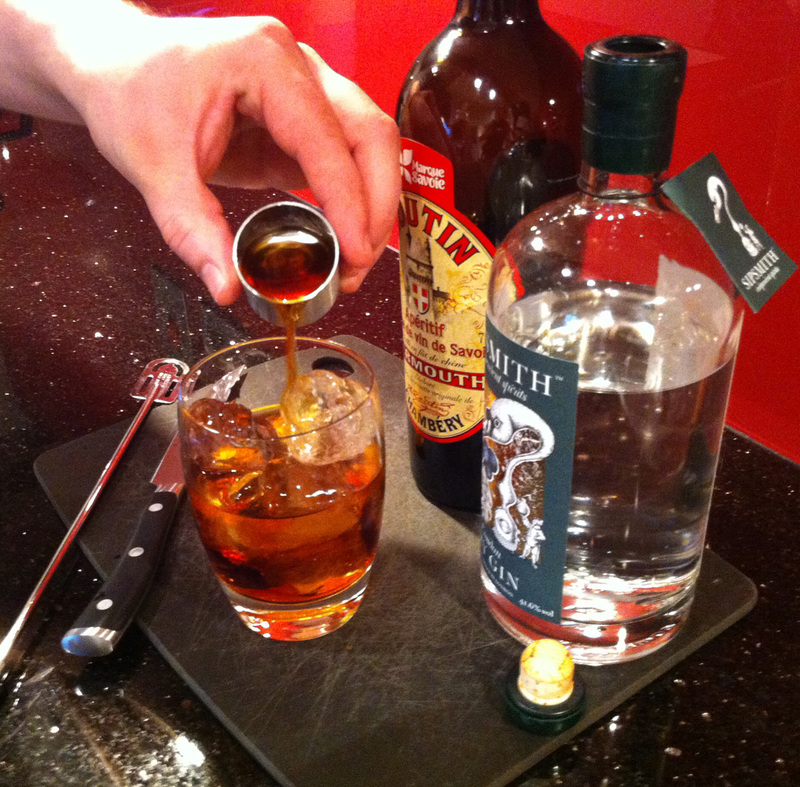 So what better for my first Cocktail of the Month than to make one with Amaro Nonino (my Spirit of the Month). 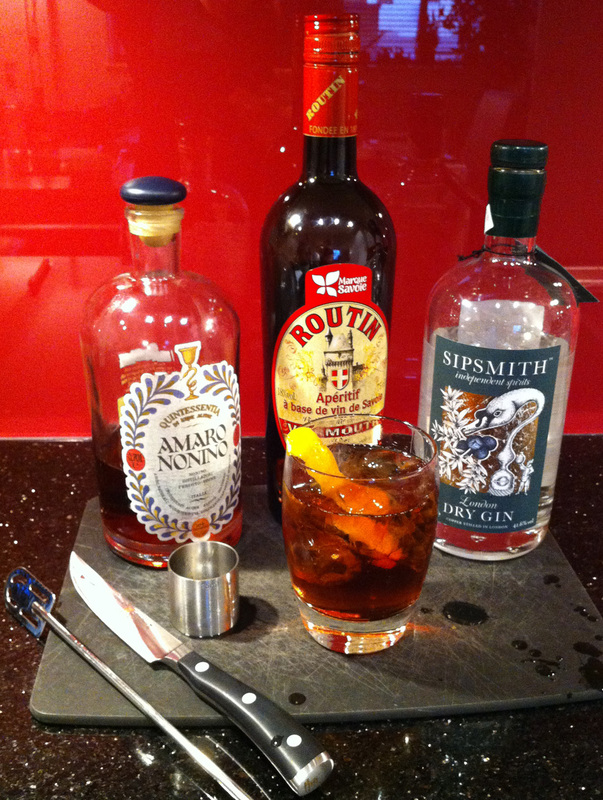 I was playing around with the idea of a variant of a Negroni using Amaro. 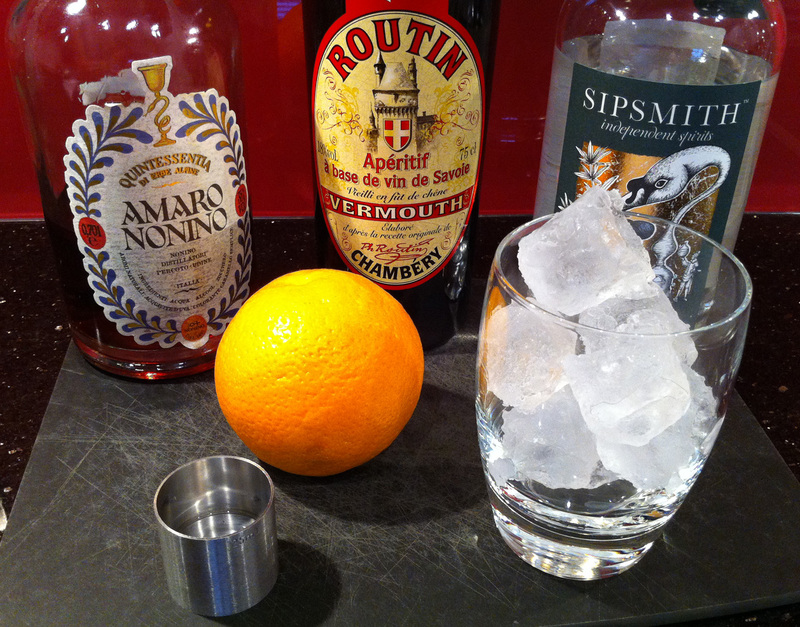 I made various permutations from the four ingredients: Amaro Nonino, Campari, Vermouth and Gin. My favourite option was actually leaving the Campari out, as the Amaro Nonino gave enough of the bitter edge that I was looking for. As you can see I have kept the cocktail very simple: lots of ice, 3 ingredients and stir. Fill your Old Fashioned glass with ice. Don’t worry about putting too much ice in. 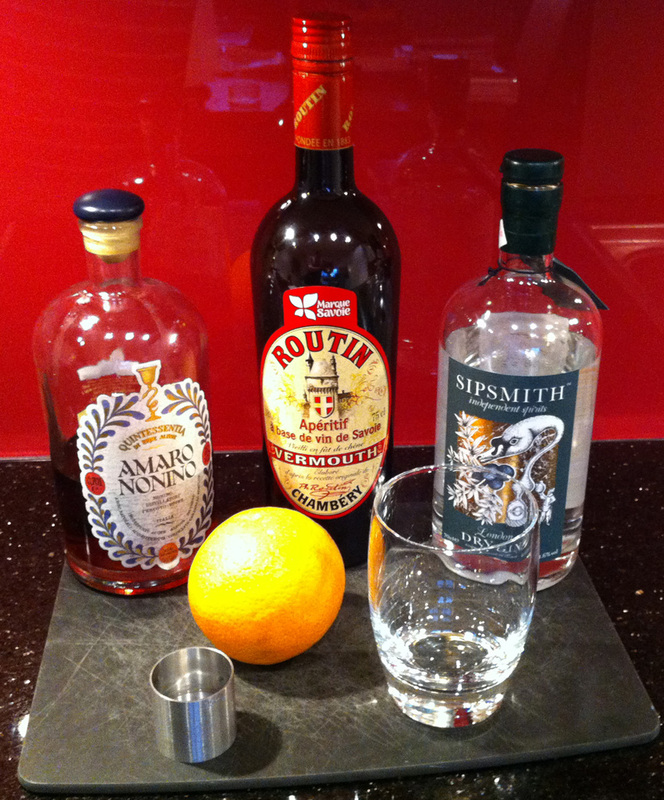 Add into the glass a shot and a half of Gin, a shot and a half of Amaro Nonino, and a shot and a half of red Vermouth. Stir gently with a spoon for half a minute. And finally garnish with the orange peel, and enjoy in the sun.